Flowering cherry and plum trees grace the cover of the July issue — plus, preview the Farwest Show New Varieties Showcase. 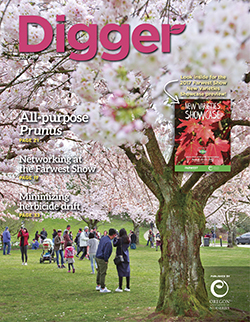 You can also read this month’s flipbook edition of Digger (Flash required; fast connection recommended). Please send your comments on the issue to editor Curt Kipp at ckipp@oan.org.